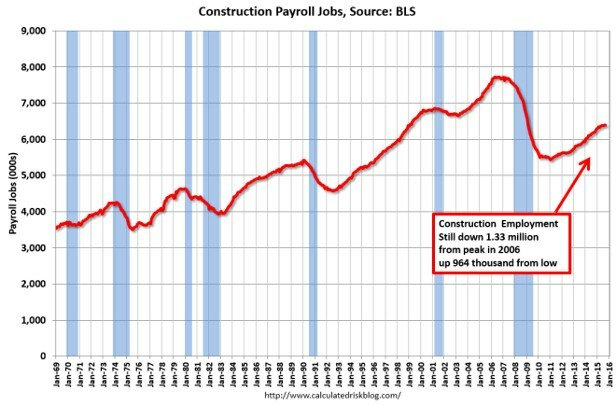 Is The Construction-Labor Shortage To Blame? NEWPORT BEACH, CA—Analyses that report that labor shortages may not be responsible for sluggish housing activity could be misleading, Landmark Capital Advisors’ managing director Adam Deermount tells GlobeSt.com. Deermount says that recently CNBC posted excepts from a Goldman Sachs published research note making the case that the construction-labor shortage isn’t to blame for the slow home-builder performance. We chatted exclusively with Deemount about why he doesn’t ascribe to this theory. GlobeSt.com: What led Goldman Sachs and other industry experts to these conclusions about the construction-labor shortage’s diminished responsibility for slow housing activity? Construction growth has led all other sectors at 5%, according to the Bureau of Labor Statistics, but average hourly earnings in construction gained only 2.2% over the past year, which is about the national average. The report said, “Economics 101 would suggest that, if labor shortages did in fact exist, upward pressure on wages would be more pronounced and payroll growth would be anemic. Therefore, the evidence from the industry-level employment and wage data does not support the existence of labor shortages in the construction sector.” Goldman instead pointed to permitting delays and land scarcity as the culprits, citing a report from JBREC’s Jody Kahn that we posted earlier this month. A survey of 100 builders nationwide by John Burns Real Estate Consulting backs that thesis. They asked about costs that didn’t exist 10 years ago and found high levels of builder frustration—not just from labor, but from cost overruns stemming from new regulations for house-erosion control, energy codes and fire sprinklers. They also cited understaffed planning and permit offices as well as utility company delays. The CNBC story made two important clarifications: 1) The labor shortage is a much bigger deal on the West Coast (most of our clients would agree); and 2) The construction industry has failed miserably when it comes to attracting younger workers and is stuck with an aging workforce (again, our clients have verified this). There is a labor crunch, though, in some parts of the country—more so in the West—since a considerable number of the construction workers who left during the recession still have yet to return. The average age of a construction worker today is far higher than it was during the housing boom, Michelle Meyer, deputy head of US economics at Bank of America Merrill Lynch Global Research, said Tuesday on CNBC’s “Squawk Box.” Builders need to attract younger workers, but they seem—so far, at least—unwilling or unable to pay them more. “Multiple” Opportunities: Some of the larger, more patient capital sources are expecting this to be an attractive buy opportunity where they can “play for the multiple”. The challenge is that few of these investors are looking to develop land. The heavy capital requirements of land development are not justifiable today and banks remain tepid toward land development. It is not a stretch to expect the for-sale market to remain under-supplied, or at least not oversupplied, for a protracted period. This condition surely will reduce the risk of capital loss for patient investors but make things challenging for home builders who need land as their most basic raw material. At some point this becomes a self-fulfilling prophecy where lots fall in value due to a dearth of capital availability, where investors pull back to wait for a better entry point. This couldn’t be more different than the 2007-2008 scenario where there was plenty of lot and home supply that weighed on the market heavily once subprime lending (and demand from marginal buyers) vaporized. No, in this case homes could actually keep going up in value, getting less affordable while new construction continues to slow and land development grinds to a halt. Why? Because people are still forming households, and there is still demand that will likely continue to outstrip supply of development slows further. Private equity investors made large investments in land coming out of the downturn, banking on a strong rebound when home values began to rise. Many of them have been disappointed with the results, and many portfolios haven’t hit expected returns despite home prices and lot prices generally rising. This has mainly been due to the various headwinds facing development and home building that I mentioned above. The prevailing view on Wall Street appears to be that land is overvalued, but home prices may not be which is why Meyers sees the potential for land to go on sale while low supply keeps home prices elevated. Ironically, developers and their capital partners could have been spot-on underwriting finished lot values and still underperformed due to permitting delays and cost inflation. Developers and their equity partners are also struggling since home builders are now demanding finished lots, whereas they were previously buying unimproved but mapped land and did their own improvements. Improving lots is very capital intensive, as mentioned in the Meyers report above, and your average developer has a substantially higher cost of capital than a public home builder does.